There’s nothing more personal than your genetic profile. Yet the traits that make you, well…. you, haven’t been accessible or useful outside of clinical medicine or research. Miinome makes genetics accessible and personalized. A secure online platform does the hard work of interpreting your data – merging it with social, behavioral and environmental information to provide simple and useful recommendations that allow you to make more informed wellness and lifestyle choices. Miinome’s recommendation engine generates truly personalized recommendations. Our behaviors are not just a function of our environment, our actions, and our history. They are a function of our environment, our actions, our history, and our genetic profiles. Miinome provides the missing link. These are your biological biases – put in motion. Your data will always be your data. Miinome provides the highest levels of encryption, authentication and storage security for your information. Our platform is built around a multi-layer consent, access control model that allows us to provide flexible access while protecting sensitive data and privacy with the most granular controls possible. If you ever choose to leave, you can delete all your data – or take it with you in the form of a Portable Genomic Profile. Miinome strives to bring you only the best possible recommendations and dividends derived from your data. You opt-in to get recommendations based on your own personal genetic traits, and only with your explicit consent will trait data be shared within our trusted and secure framework to support specially curated, personalized recommendations. You have complete control over your data, with the ability to choose how and where you share your data – or add, delete or modify your engagement levels at any time. 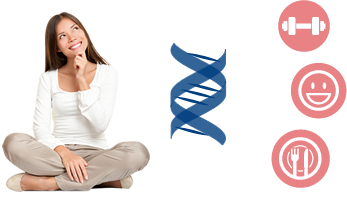 We give you information to make your genome actionable and useful every day. Because your recommendations are based only from the traits you feel comfortable sharing, you have complete control. Nothing you don’t want or need, just real insights and useful tools and valuable opportunities – in wellness, lifestyle, and every day living. Do you have a 23andme account or other direct to consumer sequencing data? We welcome you to join our community. Sign-up to receive an invitation for our beta program. Miinome’s digital platform provides recommendations directly generated from your unique genomic, social and environmental data. ©2013 Miinome Inc. All Rights Reserved.